Many homeowners would love to have the luxury and comfort of a fireplace, but either don’t have a functioning chimney or don’t want to deal with the maintenance of a masonry fireplace. Luckily, there’s a way that anyone can enjoy a fireplace – fireplace inserts. The many benefits of fireplace inserts range from convenience to energy efficiency. So, if you think that you can’t enjoy the warmth and comfort of a fireplace, think again. In this article, we’ll go over all the great benefits of fireplace inserts and why they’re an excellent option for any homeowner. In order to understand why fireplace inserts are so awesome, you first have to know what they are and how they work. 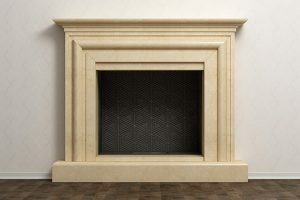 As Chicagoland’s leading chimney and fireplace company, we know everything there is to know about fireplace inserts. A fireplace insert is exactly what it sounds like – a fireplace that’s inserted into an already existing masonry fireplace. You might be wondering why someone would put a fireplace inside their fireplace. Wouldn’t it be easier to just use the existing fireplace as is? The simple answer is no. For those who have traditional fireplaces, you know that it takes a lot of maintenance to keep them running as safely and efficiently as possible. They require routine cleaning, inspecting and are overall not as efficient as their insert counterpart. 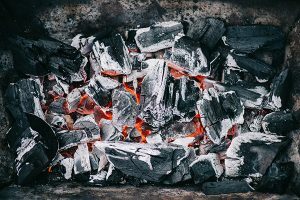 With homeowners leaning more towards energy conserving appliances that create less pollution and require less maintenance, it’s no wonder why traditional chimney and fireplaces are becoming less and less popular. That’s not to say traditional fireplaces are no good at all. Some people still prefer the aesthetics and feel of a wood-burning fire. You might be wondering how a fireplace insert can be more energy efficient than a regular fireplace. Don’t they both do the same thing? While they both heat your home, fireplace inserts have certain aspects that make them far better at reducing energy consumption. One of the biggest ways that traditional fireplaces lose energy is by heated air from inside your home escaping through the chimney while it’s in use. With a fireplace insert, this simply doesn’t happen because the doors are sealed air tight. With traditional fireplaces, there are many ways that drafts can enter your home, including damaged flues or dampers. With a fireplace insert, this is completely avoided as there are no flues or dampers. Plus, your fireplace insert will be insulated to help keep heated air from escaping your home. With a fireplace insert, your fires will burn slower and hotter due to the sealed door and other technology associated with their design. An average masonry fireplace is usually between 5-10% efficient, whereas a fireplace insert can be up to 80% efficient. Along with increased energy efficiency, you’ll be able to save more money with an insert as opposed to a masonry fireplace. Since your home will be better insulated and heated air won’t escape through your chimney, you won’t have to burn as much wood to keep the fire going. You’ll save money on buying firewood this way. You’ll also save on monthly heating bills because your home will be better sealed and you won’t have to rely as heavily on your furnace to heat your home. Another topic that homeowners are focusing on now more than ever before is how environmentally friendly a particular product is. Compared to a traditional fireplace, inserts are far more environmentally friendly. Since they’re able to burn longer and more efficiently, it reduces the amount of harmful gases and smoke that’s released into the air. Your carbon footprint will be noticeably smaller with a fireplace insert instead of a traditional masonry fireplace. Fireplace inserts are also an overall cheaper endeavor than masonry fireplaces. Homeowners choose fireplace inserts because they want their fireplace remodeled and upgraded without having to deal with heavy remodeling work. 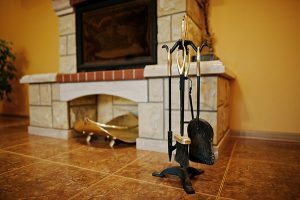 When you want to remodel your fireplace, there’s a lot of things that need to be done from brick or stone work to upgrading all the parts of your fireplace and chimney. With a fireplace insert, you’ll instantly transform your fireplace with much less work. Maintenance will also be drastically cut down with a fireplace since they’re more efficient, burn cleaner and have less moving parts. We still would recommend an annual cleaning and inspecting to be safe. You can never be too safe no matter what kind of fireplace you have. One of the best benefits of fireplace inserts is that there’s a wide variety of options available. For example, you can have an insert that runs on wood, natural gas or propane. Also, there are many different designs to choose from that can match any home’s interior design. 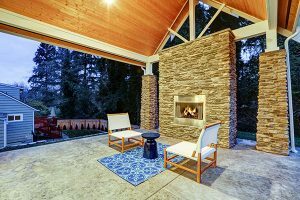 Whether you’re looking for something that can mimic a traditional wood burning fireplace or something more contemporary and modern, there’s a fireplace insert for you. At Early Times, we have many years of experience dealing with fireplace inserts and our experts will help you choose the absolute best product for your home. From increased energy efficiency to a wide variety of design possibilities, fireplace inserts have many benefits and homeowners are becoming more and more attracted to them over masonry fireplaces. 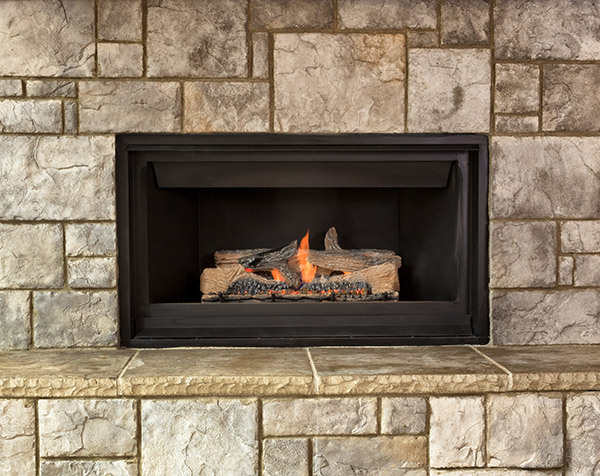 For your fireplace insert project in Chicagoland, you can trust the experts at Early Times. For over 30 years, we’ve dedicated our services to keeping homes cleaner and safer. By simply filling out our form for a free quote online, you’ll be on your way to a new and beautiful fireplace insert that you’ll surely love.